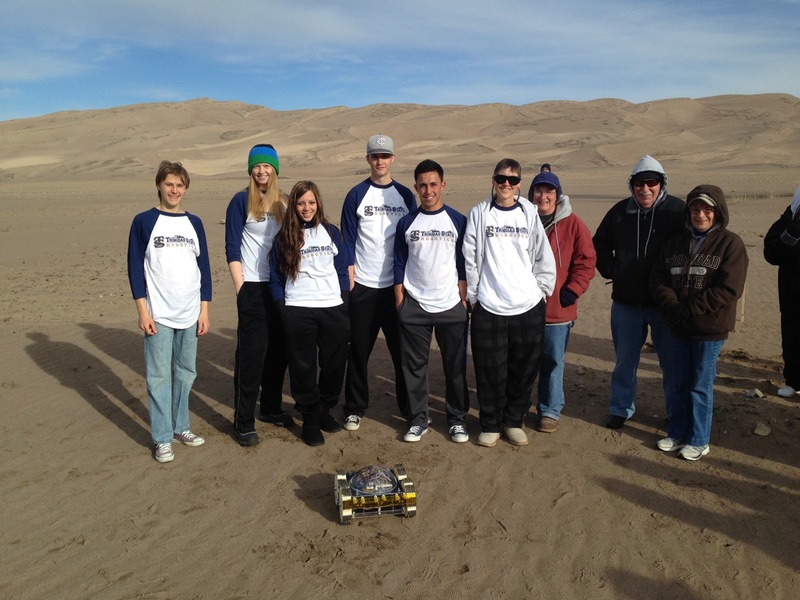 The 2019 Robotics Challenge will be held on Saturday April 13th, 2019 at the Great Sand Dunes National Park. 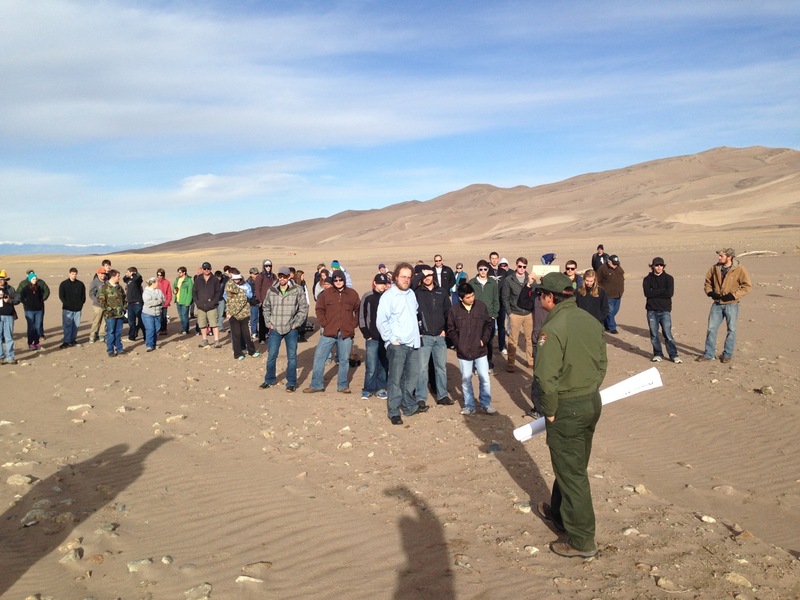 A huge thanks to the National Park Service for the great forum to test and challenge our Robots. Who can participate? The event on April 13th, 2019 is open to the public. Enter a robot or come watch! 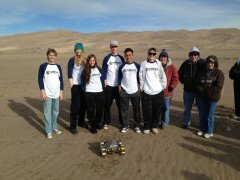 Previous years saw teams from many of Colorado's colleges and universities challenged to courses to simulate the challenges that the Mars rovers experience every day. High school teams and folks with general interests in robotics can also get involved. Sign up here to get registered now to receive information about the Robotics Challenge. You don't have to register a full team now. Mentors or team Advisors can register now and then update your team information when the team forms in the coming months. Get Registered. Register your team (registration will open in September 2018), or at least your team captain now! No cost to get involved. Teams provide their own hardware and travel to the event. 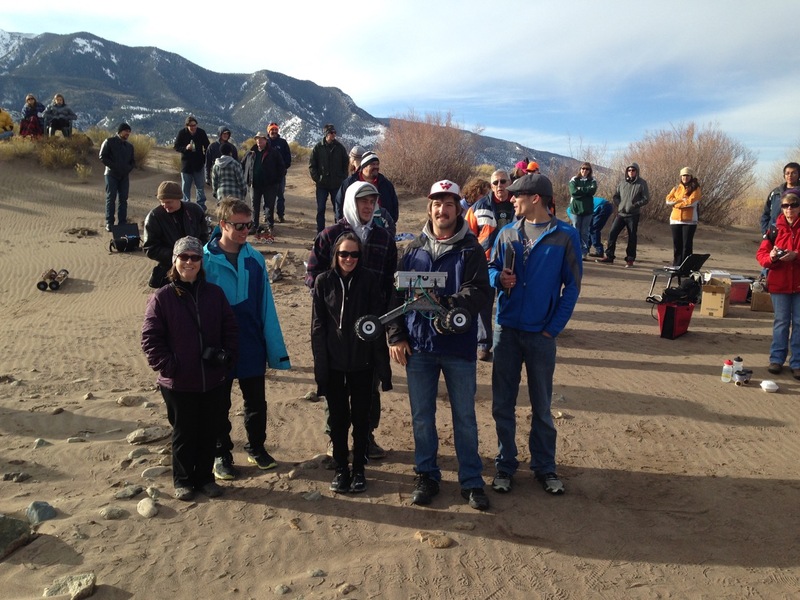 Adams State University in Alamosa and the Colorado Space Grant Consortium are excited to announce the sixth annual robotic event near Alamosa. We intend to simulate an autonomous robot mission on Mars. This event is open to all colleges/universities in Colorado and the general public. This Challenge is designed to further robot development and challenge teams to learn about electronics, programming and operating in a difficult environment. Our site, at the Great Sand Dunes National Park, is an excellent location for a simulated Mars mission. The terrain near the Sand Dunes creates an environment similar to what can be found on Mars. Participants should design their robots to function is a range of temperatures and natural terrain. There will be wind, ground vegetation, and other not-found-in-the-lab challenges which can render many sensors and movement systems non-functional. Sand has a way of rendering moving parts inoperative. The challenge the terrain presents are not trivial; it is the perfect outdoors laboratory where different ideas can be tested and evaluated.